Black Blow Fly here to discuss list building for 40k in the 21st century… To Mono-codex build – or not to Mono-codex build? There are players that want a winning list using only one codex and there are players that have no qualms whatsoever using every codex out there as long as they are winning. One thing I recognize is that GW loves some allied armies going back as far as 6th Edition. I’ll let you all argue which of 6th or 7th edition was the worst, but in the here and now, multi-codex soup is still a thing. Some say Soup is no longer on the menu but in reality if you still play competitively it has been neutered but still is a thing following the BIG FAQ 2. GW is still all up into allied armies. Is it time to turn back the clock for the sake of the hobby? Mono armies using one codex can do some work and if you don’t believe me just look at Dark Eldar powerhouse of late, and some great Ultramarines lists have been doing the rounds. Here’s a Tyranid list that almost went all the way at a major tourney. I know what I like to play and I don’t like to design my army lists to follow the meta. Eighth Edition is all about the horde lists that have inherently advantages over small elite armies. A basic Guardsman is more than twice as better than a Vanguard Veteran when you do the math. That’s really messed up. GW has been trying to dial it back down from day one but the horde is still the king and this is ORKT0BER. A lot of people are ready to jump on the mean green band wagon and GW officially said this will be the very best Ork codex ever. Ask yourself if that is really a good thing? To those that are truly true to the WAAAAAAGH they are deserving and good for them. But if the Ork codex is strong, look for many to hop on the bandbattlewagon. 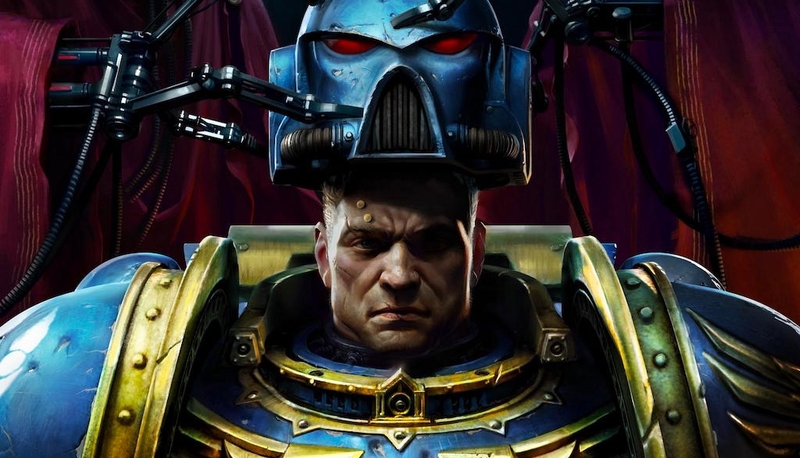 At first Ultramarines lead by Guilliman were over the top alongside Smash Brothers (Magnus & Morty). Neither of these type of builds were fun to play against. Do you remember the short term success of Ravenspam? For me the army I personally hated the very most was Imperial Knights-Astra Militarum-Blood Angels with an infinite amount of command points to rock totally absurd strategems for six or more Battle Rounds. And what about Ynnari with Soul Burst and -4 to hit with ranged weapons ? The way in which armies are designed, leaves only a few select factions top-tier competitive; which typically revolves around undercosted overpowered units… no brainer. Over the course of 8th, some rare mono-codex lists have been able to hold their own, but as the exception, rather than the rule. The allied soup lists have been neutered, but by no means brought into balance with mono-codex lists. It may take Chapter Approved 2018 bring the game back in balance between mono-codex and soup lists. ~The bigger question is does GW even want it that way, or do players?